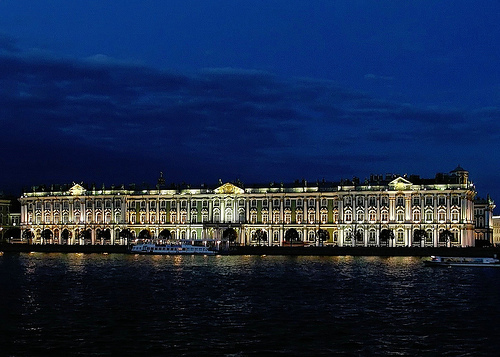 The State Hermitage Museum is one of the biggest museums in the world. Its collection encompasses over 3 million items, most of which are housed in the grandiose Winter Palace. The palace has over 300 rooms of exhibits, and can get quite crowded and intense with visitors. One section of the Hermitage Museum is the State Rooms, which are a display of the lavish lifestyles of the Romanov Tsars. Many of these rooms have white walls, impressive decorations, columns and chandeliers. The Antiquities section has artifacts from many different ancient societies, like Greece, Egypt and Rome. The Hermitage’s Modern European Art part has some Picasso and Van Gogh pieces, as well as French impressionist and post-impressionist paintings. This museum also offers an Oriental Art space, which consists of archaeological specimens from Central Asia from the times of the Silk Road, as well as silverware from Iran. 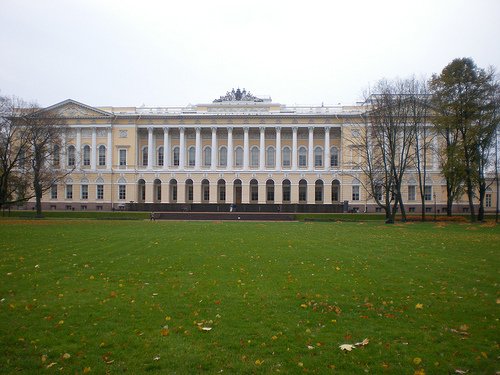 The State Russian Museum houses a collection of Russian art from all different periods. Its main collection is housed in the Mikhailovsky Palace (above), and this has historical specimens from the Byzantine era through the 20th century. Some of the art included in this state museum are Byzantine icon depictions, paintings of peasants from the early 19th century, scenes from Central Asia and modern avant-garde art pieces. Another part of the State Russian Museum is the Marble Palace Collections, which hosts rotating temporary exhibitions. It also has some permanent material, like paintings, drawings, porcelain and antique clocks. The Museum of Non-Conformist Art is an interesting modern art gallery, which represents St Petersburg’s alternative art scene. This museum as a whole is situated in a collection of different galleries, studios and concert venues. It is an interesting look at modern culture and art throughout the post-war Soviet era. Many of the artists had worked or continue to work with the Pushkinskaya collective. 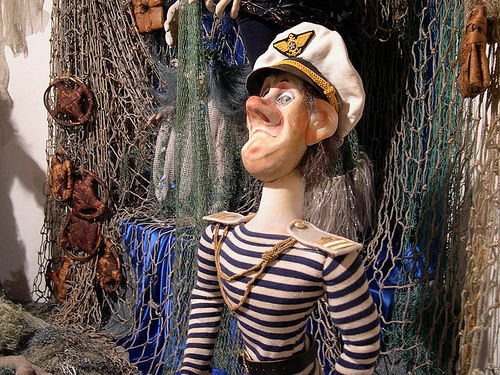 The Saint Petersburg Doll Museum is full of dolls from all eras and locations. Some of the dolls are the latest trends in the toy world, while others represent traditional folk art styles. Other dolls show characters out of Russian literature and fairytales, while some display the traditional costumes of Eastern Slavs. The Museum of Applied Art is a lesser-known museum of this city. It was established to provide insight and inspiration to future Russian artists. 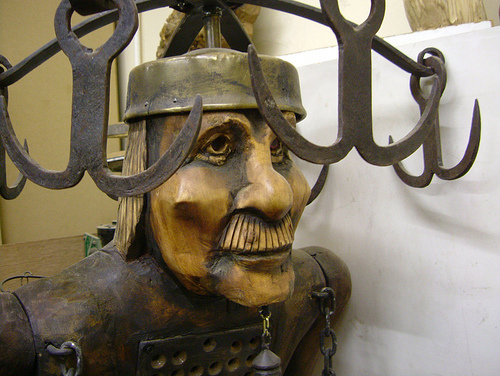 The museum’s collection has over 30,000 items on display, with different decorative arts like tiled stoves, chandeliers, furniture, metalwork and more. Its task is to collect, exhibit, and popularize most ingenious and skillful works by contemporary artists. The main part of the project is the museum of contemporary art “Erarta”, located in Saint-Petersburg. Besides the museum, the project also includes commercial galleries, a workshop, publishing and educational programs, as well as various cultural events and activities. Erarta was established with the idea of an ultimately open project not only to serve various categories of artists and visitors, but also encouraging cooperation with everyone who wishes to realize their ideas, both professionally and as an amateur. This means that Erarta project is under continuous development which allows us to suppose that our visitors will be coming back to us for their regular portion of new impressions.